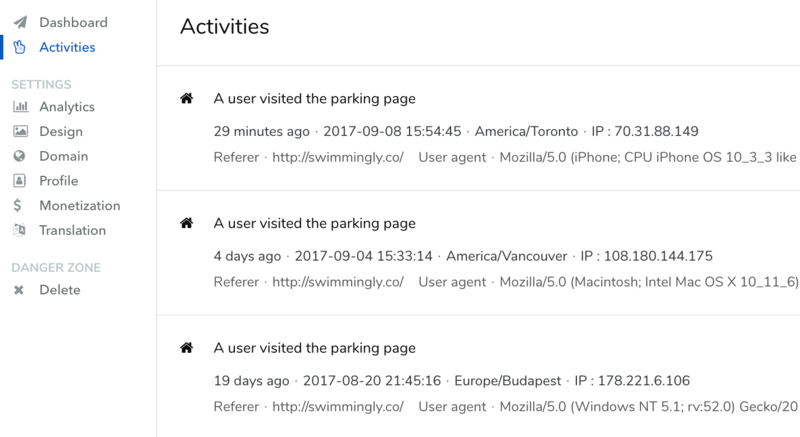 As a parking page owner, you would want to know how your visitors are interacting with it. This is what Activities provides, where you can view all the activities that are happening on your parking page. On this page, you can view who visited your domain and from which location and also filter activities by their type to drill down.